Ubisoft is very good at building worlds. Since the beginning of the last generation of consoles and the company's increasing focus on open-world gaming, Ubisoft has become adept at establishing a setting. The company has taken players from Renaissance Italy to modern day San Francisco. From the Caribbean in the time of pirates, to the mountains of the Alps, and even to Pangaea. The publisher's next title takes players to the rolling deserts and mountain ranges of Bolivia in central South America. Tom Clancy's Ghost Recon Wildlands has players stepping into the shoes of the fictional special forces team to take down a growing narco state in the current home of one of the largest drug trafficking regions in the world. Bolivia is more than drugs though. It's the home to a wide range of geography, with salt flats, dense jungles, and snowy mountain peaks all in the same region. Bolivia is comprised of 32 ecological regions in total, showcasing an amazing variety of flora and fauna. It's natural and man-made landmarks include a long stretch of the Amazon river, the Laguna Colorada salt lake, the Cristo de la Concordia, the treacherous Yungas Road, and the Great Train Graveyard. It's people draw their culture from Spanish, Andean, and Incan heritage. Ubisoft's task is trying to understand the spirit of Bolivia. To take the spirit and make a game world out of it. The North Yungas Road, in real-life and in Ghost Recon. Ubisoft Paris is the lead developer on Ghost Recon Wildlands and the studio has been working on the title for 4 years now. To find out how Ubisoft built its digital Bolivia, I found myself on a plane to Paris, France. 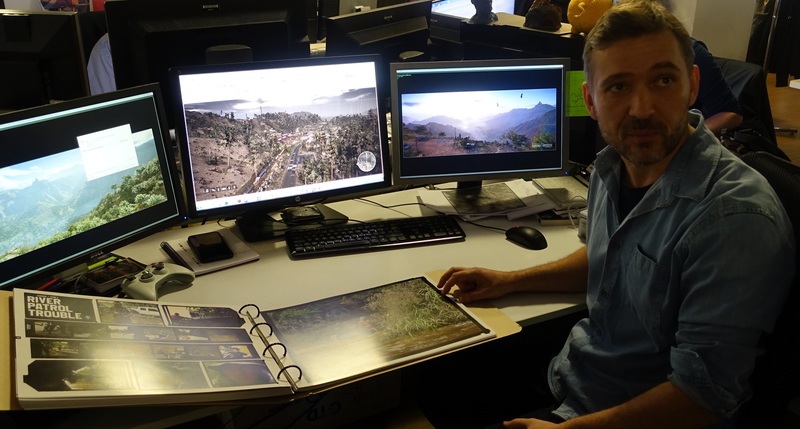 It was a lengthy trip that found me in front of Ubisoft's Paris studio and in a room with Ghost Recon Wildlands lead artist and technical director Benoit Martinez. Martinez explains that Bolivia rich bio-diversity is one of the reasons that Ubisoft Paris chose to build its "largest action-adventure open-world" there. "We had to study what could be the best opportunity for the game, but in the end, Bolivia was a very good choice because of all the diversity we found there. All the opportunity in terms of gameplay and environment," says Martinez. You can't capture the spirit of a place with a few pictures pulled from Google Images though. "Bolivia was a very, very interesting place," begins Martinez. "When we started the game, we had to decide, 'Where do we want to go?' When we started to talk about Bolivia, it was immediately, 'Yeah, sounds cool. I don't really know what it looks like.' To me, it was interesting to discover and learn everything I can. If I can recreate that, people will enjoy discovering it again through the game we're making." So began a grand research trip to Bolivia itself. Over the course of two weeks, four teams of Ubisoft employees traveled the entire region. They took photos of the Flamingo Lake at Laguna Colorada, recorded video while riding along the most dangerous road in the world, and interviewed the people of Bolivia to understand their lives and their home. The trip wasn't just about capturing the reality of the place, the team also wanted to see the gameplay opportunities there. "The first step was to go there. To send a team for a couple of weeks. If we can find some stuff to do here, if we can add something on top of reality to make something interesting happen there, it would be a really cool place to play in," Martinez says about the Bolivian research trip. By the end of the trip, Ubisoft had taken over 15,000 photos and 15 hours of video. 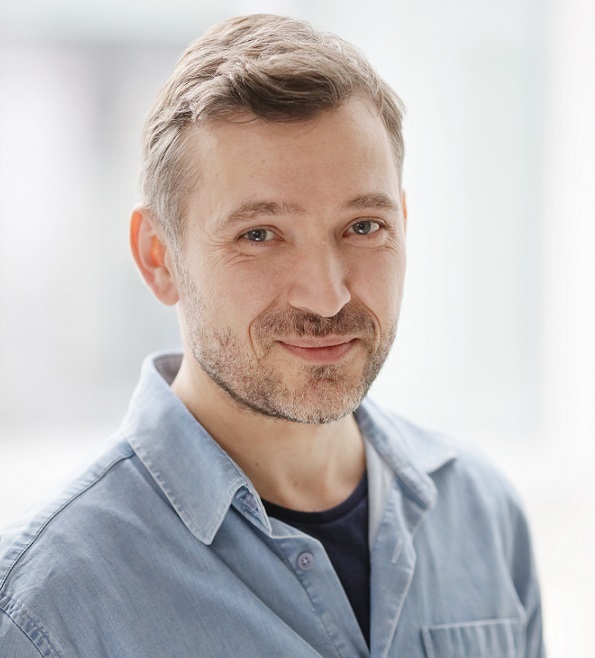 "We came back with such a huge amount of data that we spent more time here, just parsing that data to define keywords for each picture and sort everything out. That was more time than it took to actually take the pictures, but it was was very important. For years after that, it was our reference database to work from," he says, showing me a hefty reference book full of categorized photos. 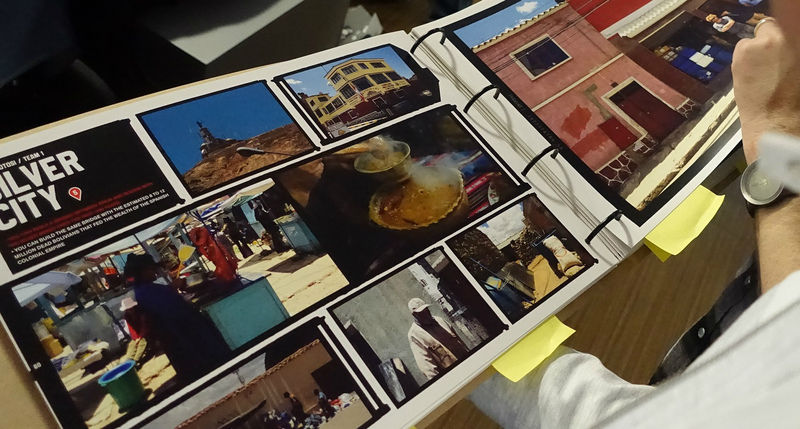 The book is professionally-made and frankly good enough to be sold as a visual guide to Bolivia itself. 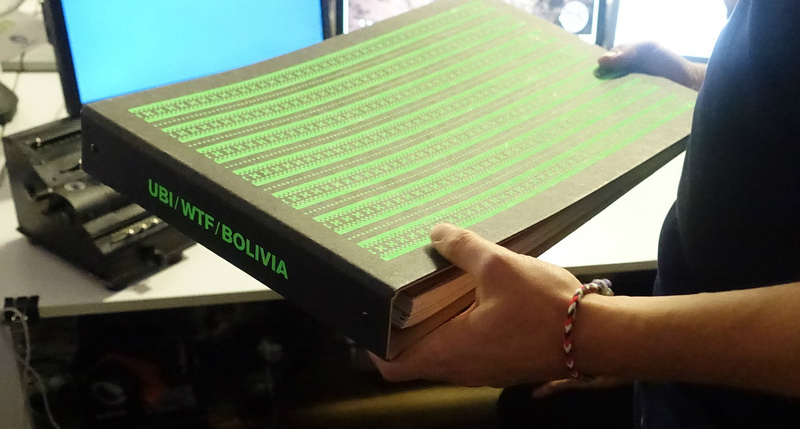 Martinez showing off the reference guide for Bolivia. 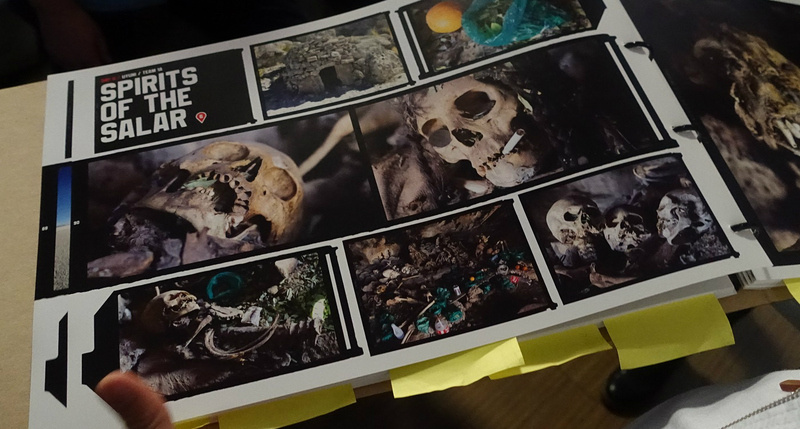 The landscapes were an important part of the trip, but Ubisoft Paris was also concerned with the details of every life there. It went to the small mining towns, where the locals still mine for silver. The team took in bazaars and drank in the local customs. 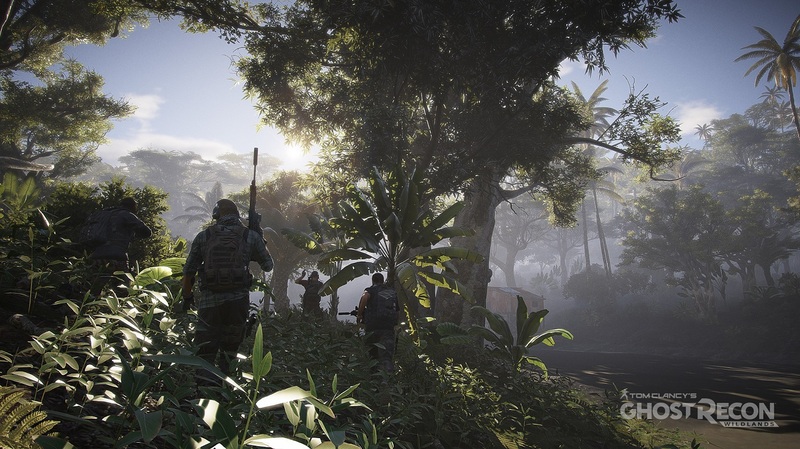 The research trip even went to local coca farms in Bolivia and traveled with law enforcement; Ghost Recon Wildlands is about the drug trade, so understanding where that trade lives was important. "We've been to the Coca farms. The Coca is legal in Bolivia. Not to make actual cocaine, but coca is very traditional. Visiting a coca field is something easy. Finding people who actually make the cocaine?" Martinez trails off. One picture shows a scarecrow, put up by the local town as a warning to criminals. It's a rather good facsimile of a human body. 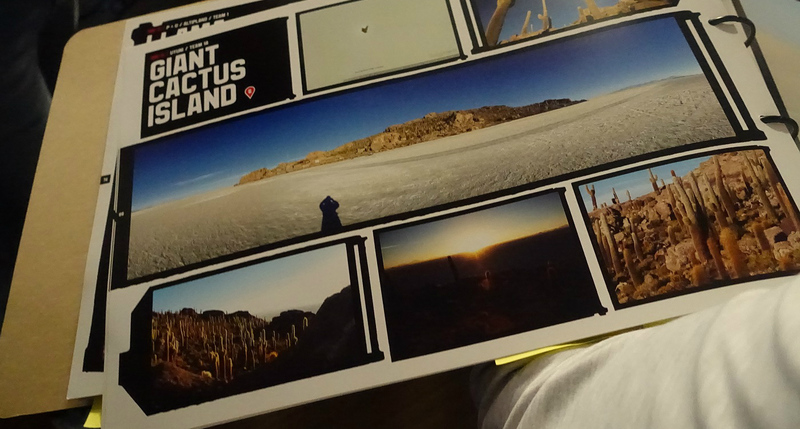 Martinez points out another picture from the trip, showing an unfinished home. He explains that's rather common in the region, because once you finish a home, you have to pay taxes on it. If you continue to make improvements though, you can stave off the tax man for another day. So that detail goes into the game. "We won't have to explain that in the game," he says. "We won't need to have any dialog with people to tell you that, but that really contributes to recreating this reality." Tagged with Action,	Interviews,	PC,	PlayStation 4,	Ubisoft,	Xbox One. Ohmori elaborates on his philosophy for the series, the battle system changes, and what happens when you transfer a monster from Red and Blue.